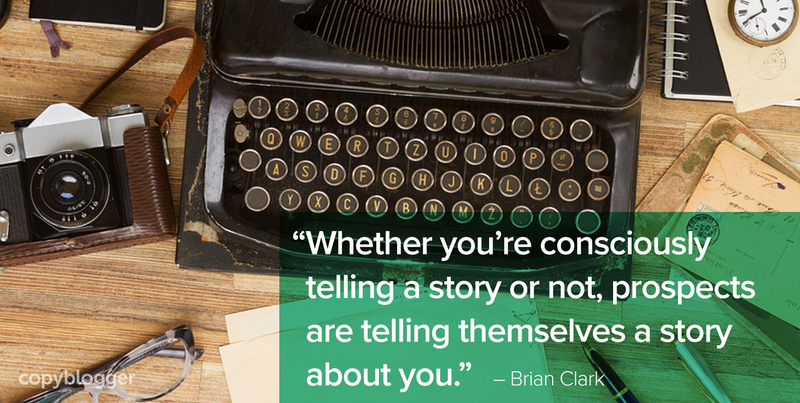 When you consider influential content, you may naturally think that it’s about how you present the information. While that’s true from an engagement standpoint, which principle of influence to apply and when to emphasize it is an exercise in what as well. 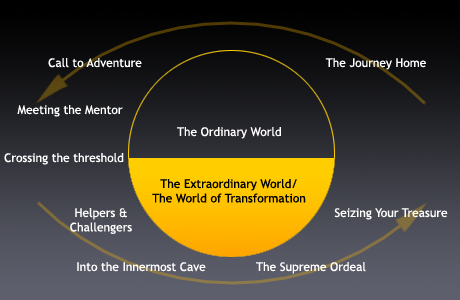 Love the hero’s journey. I always encourage fellow content and copywriters alike to absorb as much fiction as they can. Honestly, understanding storytelling techniques and structure is integral to good writing but so easy to overlook. Instead of chasing “that one weird trick” for better content, students to the craft would be much better served to study literature and psychology (at least that’s what I tell myself as I stare at the framed English degree gathering dust on my office wall). I agree Brent. I usually read an hour of fiction before bed. I read for entertainment, and still try to see the prose objectively to make my copywriting services better. It seems to work. One of the best most comprehensive reports on psychological triggers I’ve ever seen. Captures the whole spectrum. I really like that customer journey. Most people forget that we don’t sell things, we sell feelings and emotions. The easiest way to show that is that people have a present state and a state they desire. What you give them are the resources to go from the present to the desired state. I’m working as an NLP trainer on http://www.flyhighnlp.com and it’s all about that in our life, especially for me as an professional athlete. My journey is like the journey you show, and there is (which is really important) the point where you have to stand for your own. Of course you will fall down, but you have to get up again to go on the journey. Wow! This is some of the best writing education I’ve seen anywhere. I’ve paid for worse, unfortunately. I love this series you’re doing for us…thanks Brian! Great post. Aligning any given piece of content to the buyer’s journey and determining the target audience as well as the purpose of the content will help you establish a clearer path for leads to take and convert more into customers as a result. I respectfully disagree with the statement “if you’re an electrician, you show up and either fix the problem or don’t.” That customer will have an electrical problem again, and she has friends, neighbors, is on Facebook for 45 minutes a day and loves Pinterest. If that electrician stops at “fixing the problem,” she’ll do a Google search next time she has a problem. If the electrician does what you suggest, not only will she call him again, she’ll create serious positive word-of-mouth. Just a phone call a few days after the repair can make a difference. Hey Bruce. I agree with you, but that’s not my point there. In a skilled service scenario, the provider does all the work. The customer doesn’t “DIY” the electrical solution, so there’s no “traveling the road” or period after the purchase where the customer has to do something to take action. Now, compare that with an email marketing service that you buy. If you don’t actually learn to use it, you’re likely to cancel the service before any value is obtained. I love this take on sharing a hero’s journey. You always hear people say, tell a story or that your blog and social media should show your life kind of like reality tv. However, it’s tough to put that advance into action. Your example of Star Wars and the action steps are exactly what I needed to put my “story-telling” into action! Thank you! My prospect is Clark Kent. I am the Fortress of Solitude. Here’s where he gets the gift that determines his true destiny – the Superman suit. Brian, I’m so glad you decided to write more articles this year. This post is brilliant. My favourite part is: “I’ve found that just the act of thinking of the prospect as the hero makes you a better content marketer.” So simple, but so helpful. The hero, you are not. The hero, your customer is. Yoda, you are. Great post Brian, I can relate. It took us a long time to develop a customer journey. We had to dive deep into the market to understand what was missing before we could craft valuable resources. It turns out, the target changed from early-stage professionals to students. Competitors missed this and we armed our content with a healthy helping of free resources and lower price-point products to reflect the budget of a student. Hey Brian, You have touched an emotional part here in this masterpiece content here, see most of the clients focusing on selling, I think they should more focus on emotions because emotional behaviour tend to buy more things than forceful selling. I really like that customer journey you have shared. If you sell emotions you are going to make more money with your content.